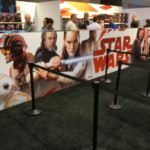 At the 2015 D23 Expo, Disney Store was an absolutely infuriating experience. 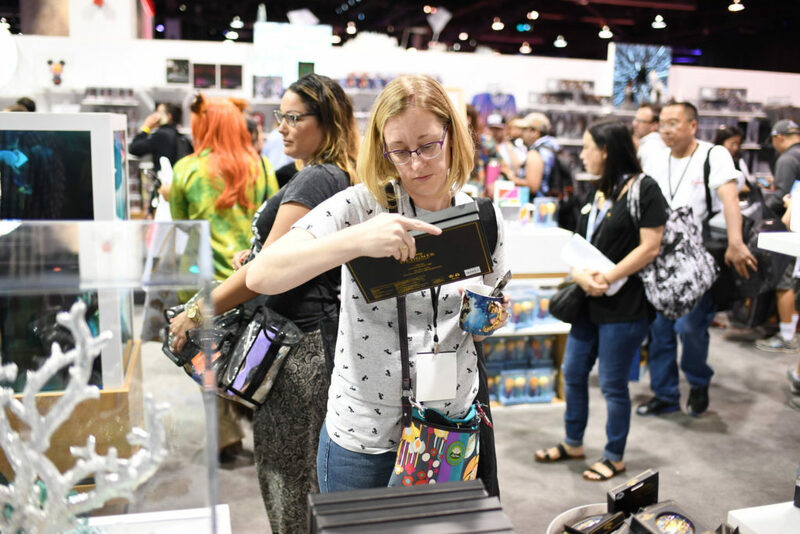 They failed on all accounts, making highly sought after items in severely limited quantities, long and frustrating wait times only to find they sold out of everything, and overall caused more harm than good (for more information, read about how they ruined the 2015 D23 Expo). I felt a civic duty to reconnect with them this time to see if they had learned from any of their past mistakes. 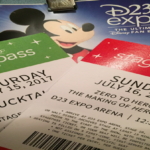 What follows is their 2017 D23 Expo Report Card. In 2015, Disney Store’s lines exceeded as much as five hours, but with a slightly bigger store and more cash registers, the max length I ever saw was 2.5 hours this year. Cutting it in half? Not bad at all! In addition, the Disney Store Cast Members kept the line fun. They would swap megaphones and talk to the crowd, asking trivia questions and giving realistic expectations of what merchandise was still available. At the four previous D23 Expo’s, Disney Store has insisted on having an “Opening Ceremony.” If you were in line for the store, you couldn’t even see it, and literally nobody was watching. It delayed the store’s opening each day by at least 15 minutes. I was grateful to see them do away with it this year. We just want to shop, and they finally let us! Nobody will miss the Opening Ceremony, good riddance to bad rubbish! In 2015, the Disney Store was about 1/4 the size of a Disney Store you’d find in a typical mall. This year, it was about 1/3rd. I would say it’s still not quite big enough, but it was certainly a big improvement. The biggest issue was that the line to checkout would snake around the store in front of highly sought after merchandise. The Cast Members also had challenges trying to restock the shelves with the highest demand items. It was like a Black Friday scene where everyone would wait by the empty shelf and the Cast Members physically couldn’t restock them fast enough. They also had a significant amount of shelf space devoted to first release items. 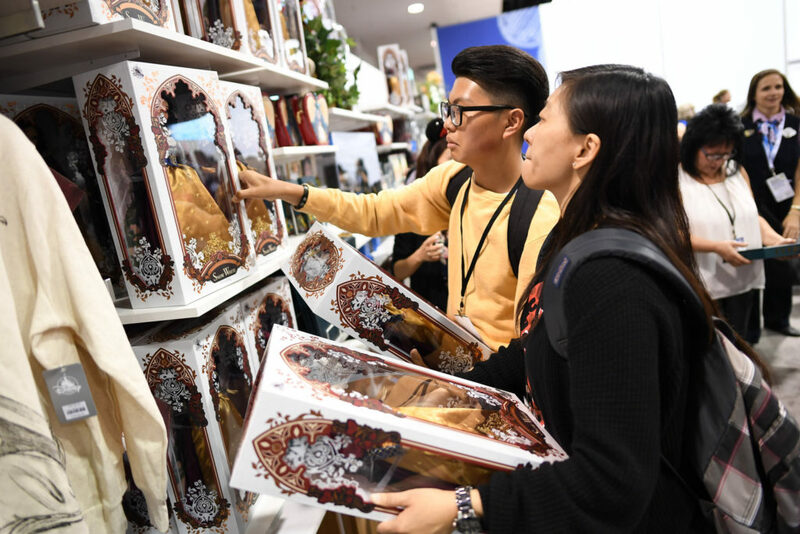 My recommendation for next year is to allot more space for the Expo exclusives and as they sell out, replace those shelves with more of the new release items that fans can pick up online at a later date. At the last D23 Expo, one of the biggest issues was that Disney Store didn’t bring anywhere near enough product to meet the demand of the 20,000 guests entering the D23 Expo each day. I made a statement that nothing should be produced in an edition size less than 1,000 and I still feel that way, but Disney Store at least had a lot more to offer this year. 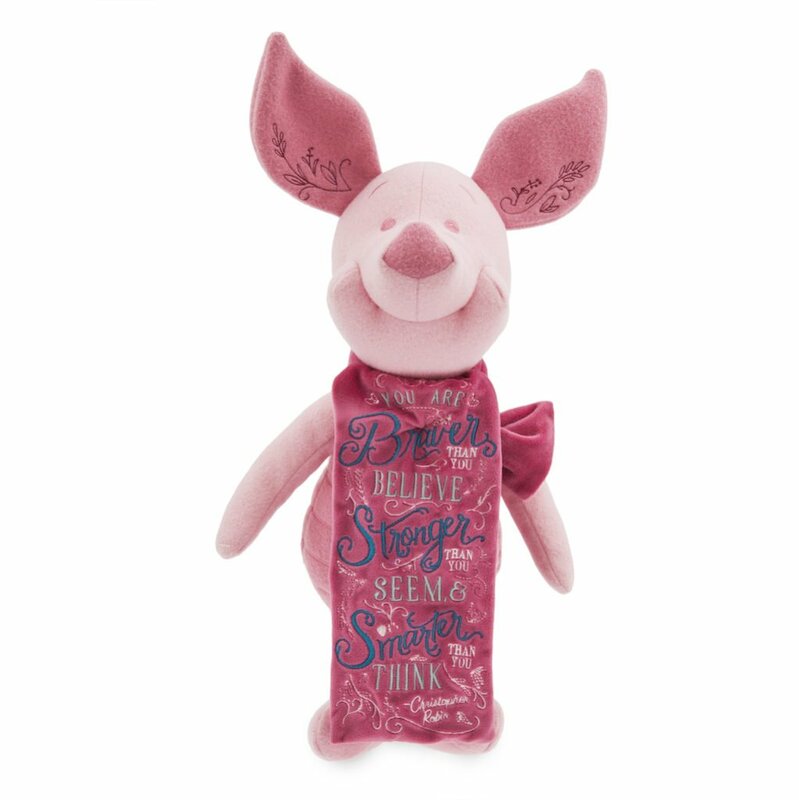 Rather than just one limited edition doll to launch the new Folktale Designer Series, they had three. None of them were variants of future releases, which was really great, but the edition sizes were still too low (1,023 for Blue Fairy and The Incredibles, 523 for Mulan). They also had two surprise release dolls to celebrate the 80th anniversary of Snow White and the Seven Dwarfs, both with just 723 made of each. These low edition sizes continue to do a disservice to the loyal fans who spent hours outside of the Anaheim Convention Center before even entering the Disney Store line. 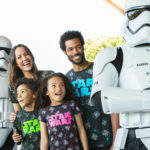 With the exception of the scalpers, who Disney Store is making very rich, these fans want the merchandise because they connect with the characters and stories behind them. It’s not about the edition size, it’s about the fact that they love the item and it has deeper meaning because they bought it at the D23 Expo. Most of these items are now selling on eBay for 3-to-4 times what they were bought for. That margin will decrease if Disney Store ups the edition sizes. I have faith they will still sell out of everything even if the lowest edition size is 2,000. It’s as if they’re terrified to ship anything back and don’t want to make more money. 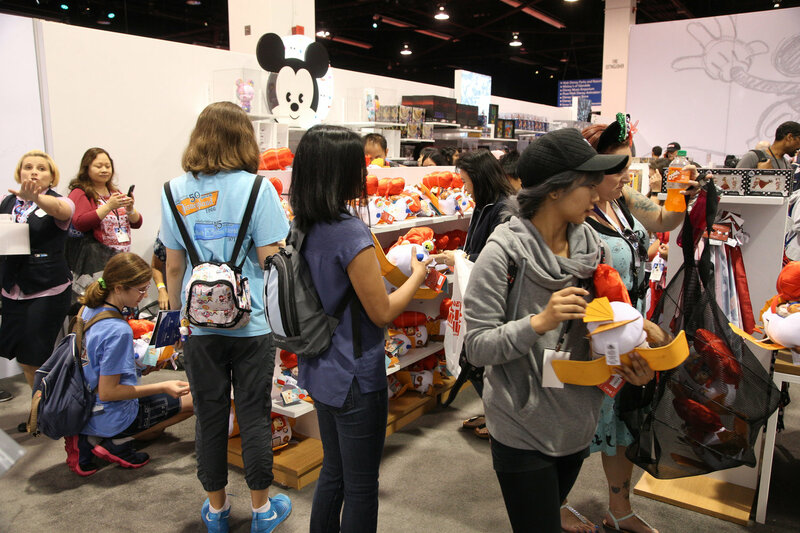 In the past, Disney Store allowed D23 Expo shoppers to walk away with 2 of everything. 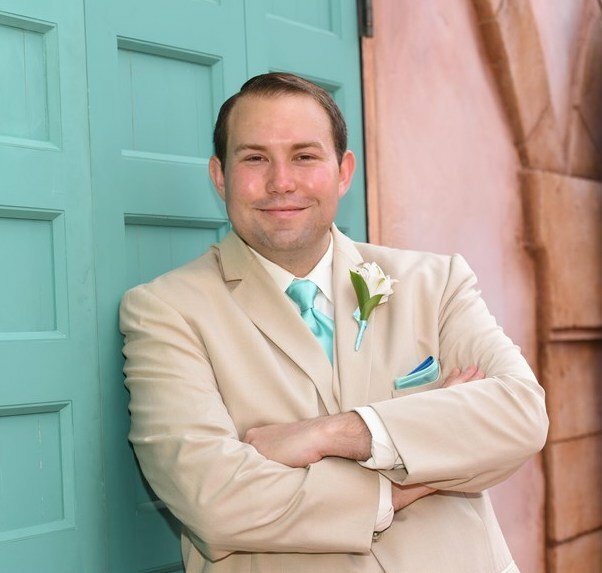 In my 2015 rant, I expressed that it should be limit 1 per guest. This will ensure that more individuals are able to get what they want. If it’s that important to one of their loved ones, they can give them theirs. Thank the maker, they finally listened and implemented the 1 per guest limit! One area that continued to be a problem is that Disney Store likes to keep their inventory a surprise each day. While they put out a few press releases announcing some of the items that would be available, they failed to tell you which day they would release. Once upon a time, they at least had fliers with all of the day’s releases and they would put signage in front of the store towards the end of each day so you could walk by and see. But with this thing called “The Internet,” it should not be a mystery. In advance of the Expo, they should announce what they will be selling each day so their fans know if it’s worth their time to wait in line or not. Not doing so also sets Cast Members up for failure, as they have to mentally keep track of what is coming out when and unintentionally provide false information. In 2015, the Disney Store Cast Members had a hard time shining over all the chaos created by the poor decisions of their leaders. I can’t blame them, I wouldn’t have been all smiles either if all I saw was disappointment from the guests I was serving. But with many of those problems improved upon this year, the cast was able to do what they do best. They were all smiles, very happy, and very helpful. I still witnessed each of them taking abuse from attendees who were ticked off by something or other (ahem… sold out merchandise… ahem), but they retained their composure throughout. A guest in an ECV trying to cut the line told the Cast Member to “F” himself when he was shown the back of the line, to which the Cast Member remained calm and said “Have a nice day, sir.” This is why they have earned the highest score possible. Disney Store, I’m sure like most people you’d like at least a 3.0, if not higher. I’m not mad, I’m just disappointed. You can do better than this, you are better than this. 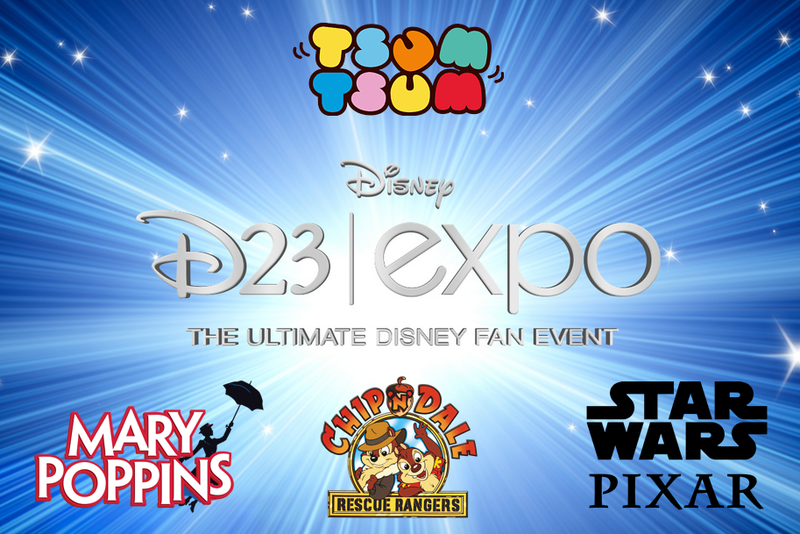 Next semester… you know, at the 2019 D23 Expo, let’s go above and beyond and try to exceed expectations, okay? Okay.